We share our small space with several critters. I’d like to introduce you to some of the more unusual ones we have. The Mossies. These sweet little guys sing to us every night and the house echoes with their song… well, sometimes it can get to be a little much! 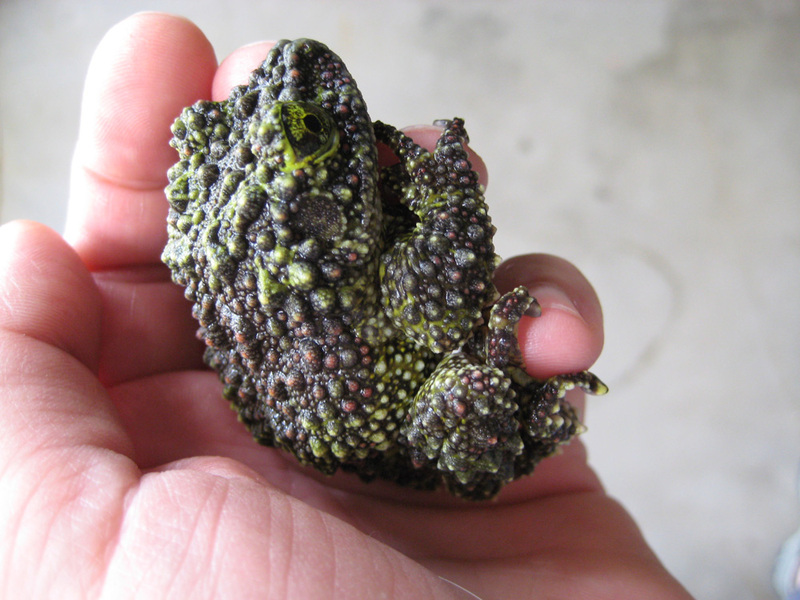 They are Vietnamese Mossy Frogs (Theloderma Corticale). We picked them up as tadpoles at a frog show about 18 months ago. After months of waiting for them to morph, watching their little legs appear and their tails disappear, we were rewarded with all three tads making it safely to froghood. The little frogs (froglets) were tiny, but oh so cute! I will have to dig for pictures… After they got a little bigger, they began calling. At the time, they were housed in the boys’ room and we thought one of the boys was making the racket at bedtime. The gentle “whoots” stopped every time one of us went into the room to see what was going on. I don’t know how many times we told the kids to knock it off and go to sleep. My oldest said he thought it was a phone or some electronic device that must have a dying battery. Then one day I heard it when the boys were not home. I figured it out. And yes, I felt pretty bad for thinking it was the kids. Anyway, we eventually moved them into a bigger tank and out of the boys’ room. As they have matured, we have noticed a variety of funny calls coming from their tank. Sometimes we all just burst out laughing when they are acting up. Now they call constantly at night, all night, and often even during the day. All three ended up being males. The mossies look like little lumps of moss. They can be very difficult to find in their tank if you don’t know what you are looking for, and even sometimes if you do! 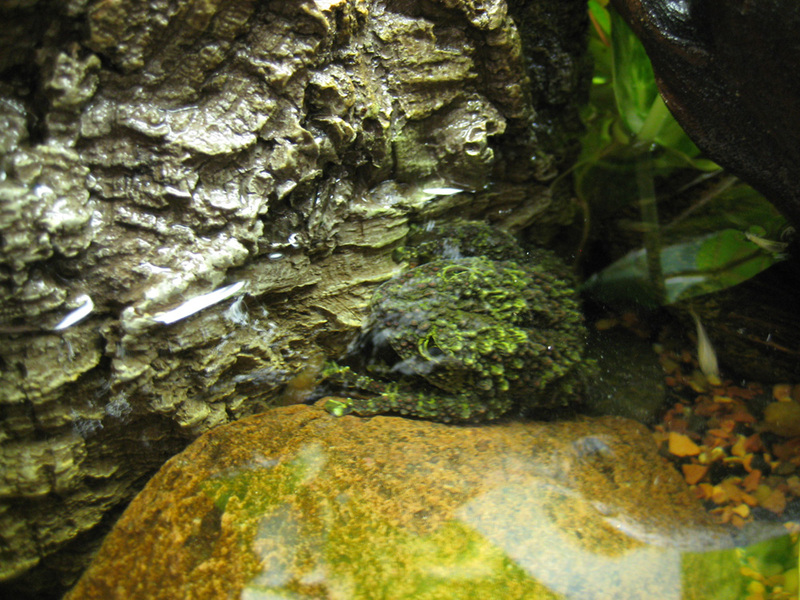 They are actually tree frogs, but spend much of their time in the water. 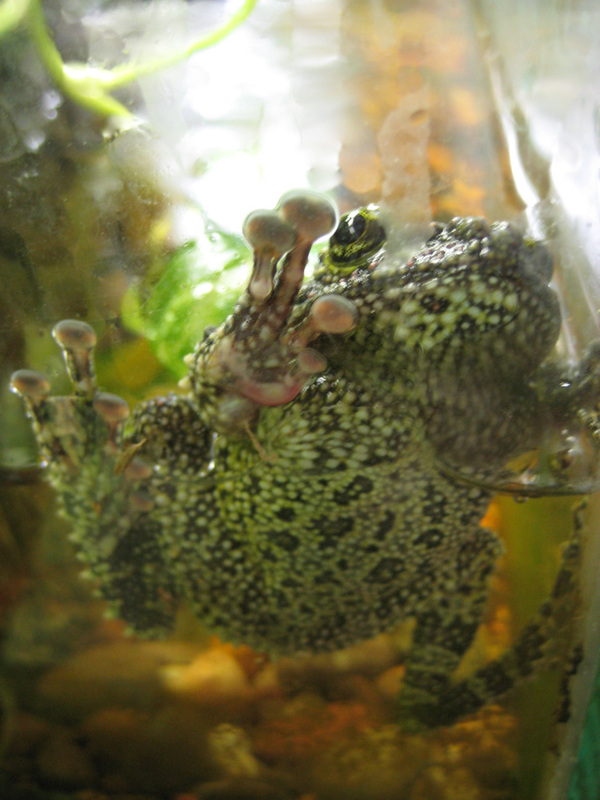 They are excellent climbers though, and they will suction themselves to the glass when it is humid enough in their tanks. Mossy Frog hiding under water. One of the neatest things about these frogs is that they often play dead when you pick them up or disturb them. They will just freeze in a ball-ish shape and wait a few moments before suddenly jumping away. If you return them to the water, they will sink down in the same frozen position until they decide it is safe to move. The first time I saw them do this, I freaked out thinking something was wrong! 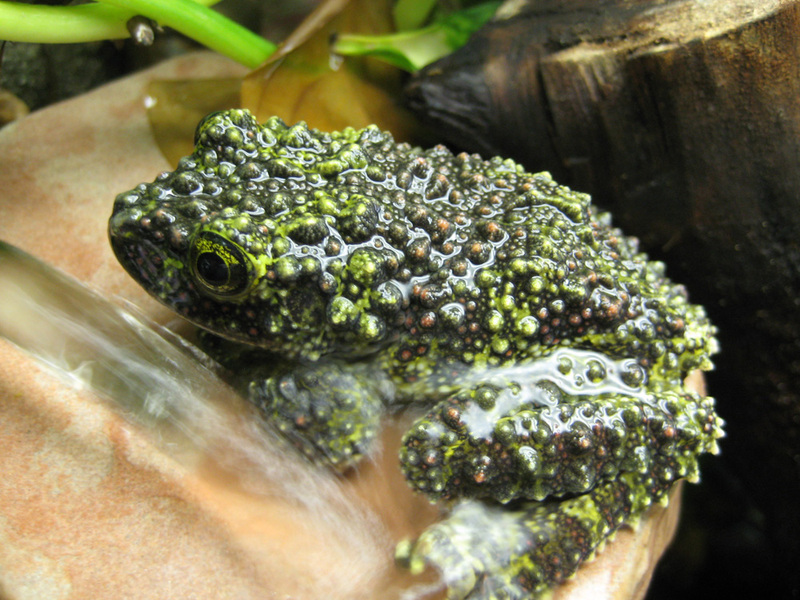 Mossy Frog is finished playing dead, and is looking to escape back to safety. Mossy Frog happy to be back in the water! Hope you enjoyed learning a little about these guys! What unique critters do you have around? A Peek at what I’m working on! SO cool! LOVE them! 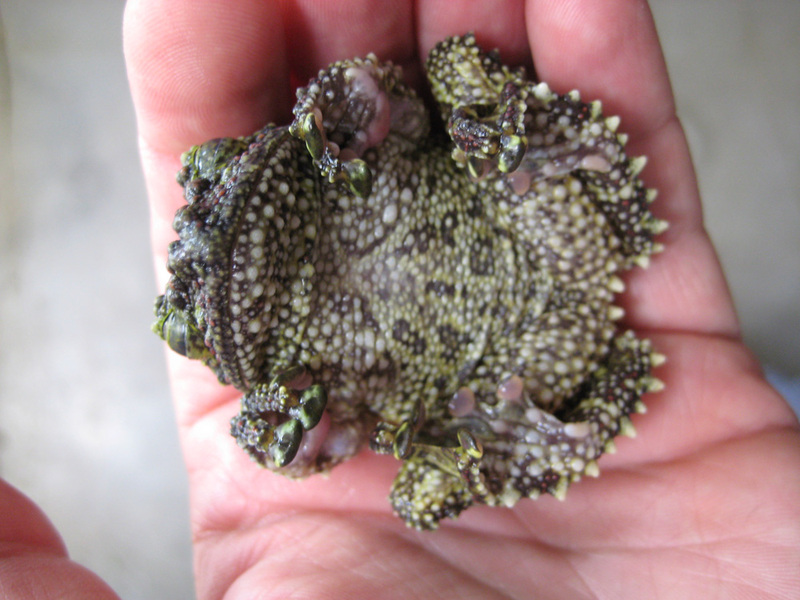 Love their warty froggy bodies! Thanks for sharing!! I love them! I used to have a tree frog named Smidgeon. This is the cutest thing ever! Congrats on getting them to grow to adults. I wish I could hear them. Madeline T is really me (Eve).